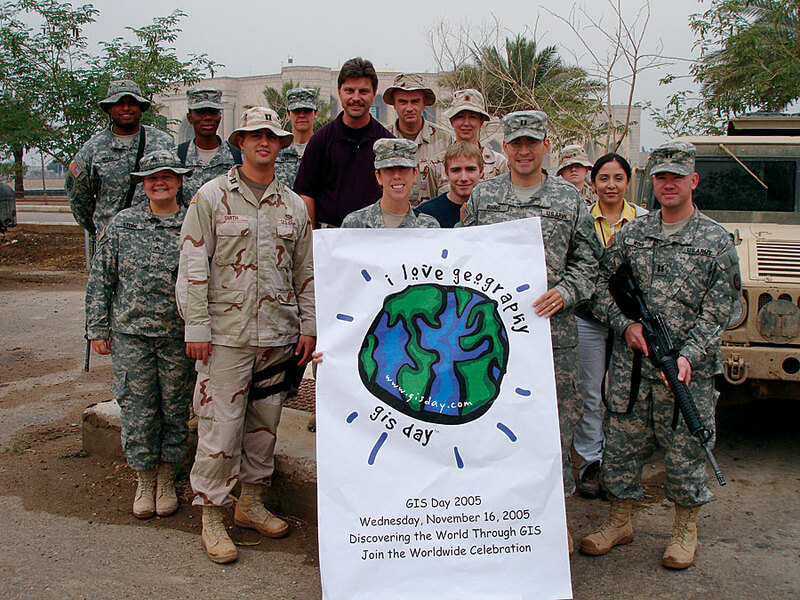 Soldiers and civilians from the 320th Engineer Company (Topographic), 130th Engineer Brigade, Multi-National Corps-Iraq celebrated GIS Day 2005 at Camp Victory in Baghdad, Iraq (photo courtesy Captain Michael Wood). Read more about GIS Days 2005 and 2006. Defining the Components of the Geospatial WorkforceWho Are We? Science Instructor Mark Ericson At the Santa Fe Indian School: "The learning is exponential!" Sudan, Borneo, RussiaEsri T-Shirts Go Eastern Hemisphere! 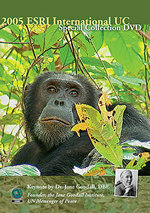 Jane Goodall was the keynote speaker at the 2005 Esri International User Conference. 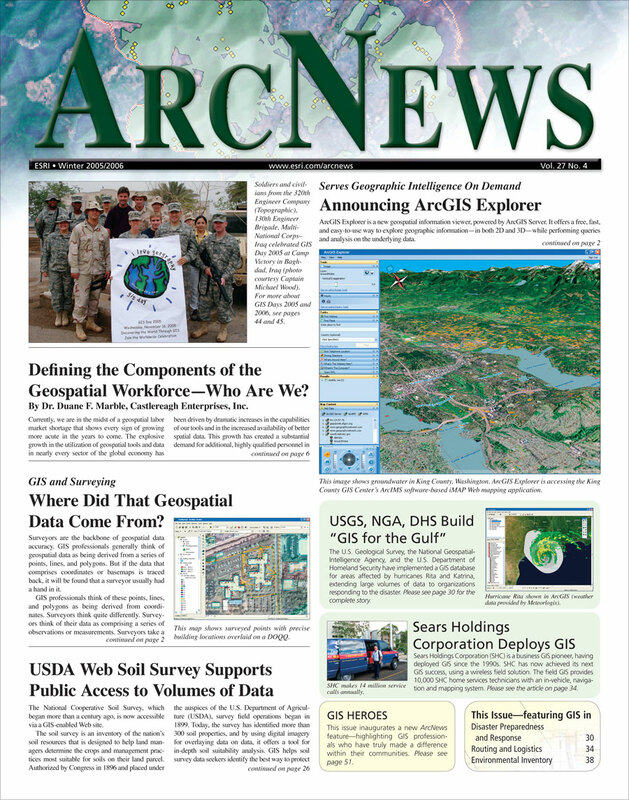 Please see "Jane Goodall Tells Her Story at Esri's 25th User Conference" from the Fall 2005 issue of ArcNews.